Antidepressant. Adults, initial: 20 mg/day in the morning. If clinical improvement is not observed after several weeks, the dose may be increased to a maximum of 80 mg/day in two equally divided doses. Obsessive-compulsive disorder. Initial: 20 mg/day in the morning. If improvement is not significant after several weeks, the dose may be increased. Usual dosage range: 20-60 mg/day; the total daily dosage should not exceed 80 mg. Treatment of bulimia nervosa. 60 mg/day given in the morning. May be necessary to titrate up to this dose over several days. Anorexia nervosa, bipolar II affective disorder, trichotillomania. 20-80 mg/day. Attention deficit hyperactivity disorder, obesity, schizophrenia. 20-60 mg/day. Cataplexy and narcolepsy, Tourette's syndrome. 20-40 mg/day. 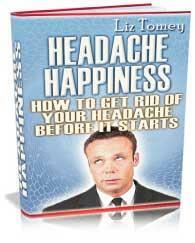 Migraine, chronic daily headaches, tension headaches. 20 mg every other day to 40 mg/day. Posttraumatic stress disorder. 10-80 mg/day. Premenstrual syndrome, recurrent syncope. 20 mg/day.